It might sound like a bad joke, but Ocean Resort Casino did change its name by switching the last two words with one another. This is a part of the wider struggle of the facility to reverse its fortune. The company announced the change on Wednesday and the purpose is to ramp up the gambling factor of the same business. The facility, which was formerly the Revel which was open from 2012 up to 2014 has now also unveiled a new logo that will accompany the name change. Mike Donovan, casino’s vice president, and CMO said that the company is fully behind the change. According to him, Ocean Casino Resorts believes that a positive change is possible. This is related to its name and the determination of the facility to commit to further property improvements. These will all be tasked with improving the gaming experience and making in unparalleled in Atlantic City. He explained that the name change signifies that now the facility is putting its casino customers first. From that perspective, the change might have some additional traction besides its slightly bizarre and almost comic first impression. The casino came into really tough financial waters at the end of 2018. The previous leadership had many shortcomings. In only a few months since its grand opening, to create big losses in the cutthroat Atlantic City casino market. After that, Luxor Capital, an NYC hedge fund took control from Bruce Deifik. The company was one of the Deifik main lenders and in January 2019, he agreed to hand over ownership to them. However, this Colorado developer died last Sunday in a car crash while the entire transaction was still pending. The circumstances of the Deifik death are still under investigation. Currently, there are some indications that he might have had some kind of health crisis while driving. However, it seems that the tragedy did not deter or derail the process. In May, the casino will unveil its brand new website. Yet, even with the rebranding, Ocean Casino Resort is still in trouble. It remains in one of the most hotly contested casino markets in the world. Because of that, the facility will need a lot more than a new website and a name change to move up in the AC casino hierarchy of profits. 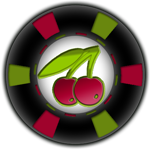 Slots-Casino.co.uk is supported by payments from online casinos who are ranked on the site. Reviews are promotional feature and the site has been paid for by operators to provide the reviews – reviews are not provided by an independent consumer. Although I do receive compensation for promotional features, I always give my honest opinion, and experiences on those video slots or online casinos. I hope this disclosure demonstrates my intent to run an honest and reputable website. © Copyright 2019 MBB Ltd. All Rights Reserved. Casino games are property of their respective owners.